After blogging earlier this week about how spring has sprung I couldn't help but go play out in the dirt. About three years ago I bought a half-dozen tulip bulbs in pots, for my sister's bridal shower. The center pieces that weren't taken home by guests just came back to my house and have been living/blooming in the same pots ever since. Last year I realized that the blooms weren't as nice, looking a little droopy, not as many blossoms, etc. 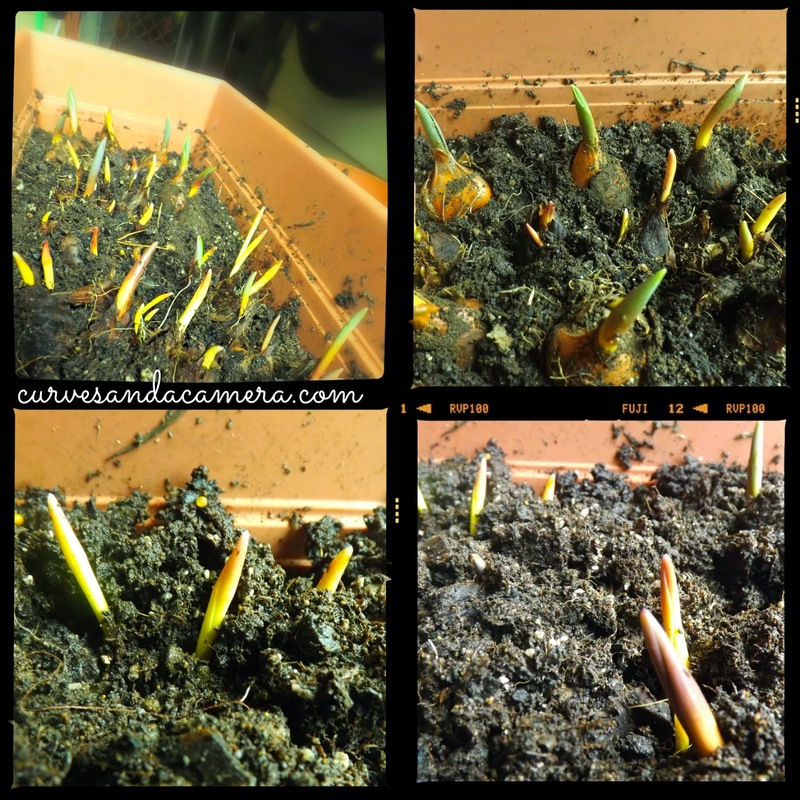 So this year I decided to transplant the remaining live bulbs from the multiple little ones to one larger one. So I changed clothes and went digging in the dirt again. 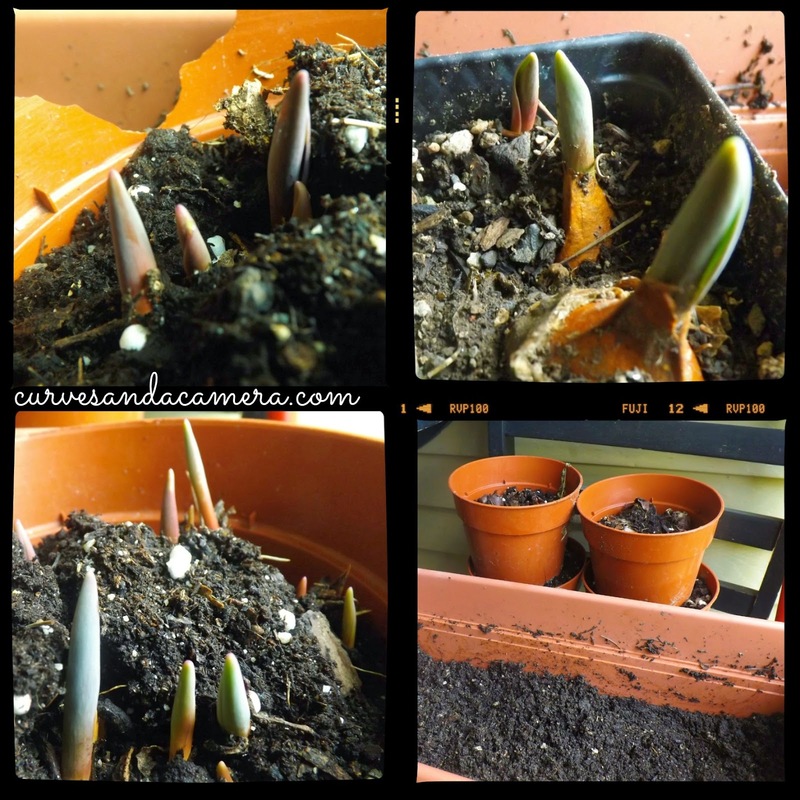 Hopefully the poor bulbs survive and bloom this spring.